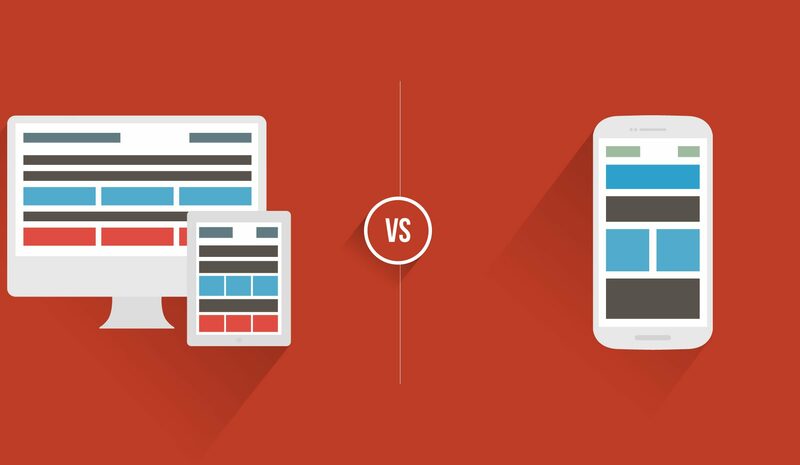 Mobile Apps vs Responsive Websites and Web Apps: Which of Them Can Give a Boost to Your Business? How to reach customers effectively? Do you know what channels can be used? Actually, there exist offline and online marketing channels. Since the offline niche is occupied, in this article we are going to focus on online marketing strategies. The markets used to be overloaded with client-based mobile applications. People believed that mobile apps were more functional. But over time, it has become obvious that it’s more rational to use responsive multifunctional websites and web apps. Nowadays they begin to establish themselves as a leading choice due to the evolution of browsers which have turned into multi-functional web-processors. Moreover, there are some state-of-the-art software development technologies that make mobile and web apps so similar to each other in terms of functionality and design that it appears difficult to distinguish between them. These technologies include PWA and SPA. Both PWA and SPA technologies, combined with responsive web design, help bring mobile and web apps closer together. The recent trend towards creating responsive web apps and websites contributes to their adaptability to various devices. These digital solutions can be accessed on a wide range of gadgets with different screen sizes. Moreover, the process of website development can be accelerated and facilitated. There are special tools that can help you create websites faster and more efficiently, for example, you can use html5 frameworks. They serve as an excellent source of ready-to-use UI elements for software developers. Cost. One of the most vivid drawbacks of choosing a mobile application is that it’s too expensive. Time. If you need a high-quality mobile app, the process of its development will definitely take up a great deal of time and efforts. Adaptability. In order to function well, a mobile app should comply with the requirements of different operating systems. So a version for each operating system should be developed. Maintenance and support. Since mobile apps are developed for more than one platform, the process of supporting them is more difficult as it involves updates and upgrades, fixing compatibility problems, etc. Price. Web development is not so high-priced. Moreover, when you invest money into apps or website development, you should bear in mind that it doesn’t end with the launch. Supporting a website is much less expensive than maintaining and providing support for an app. Accessibility. Websites are immediately accessible to users by the medium of browsers on a variety of different devices, they don’t need to be downloaded and installed. Shareability. Users can easily share websites just through simple links which cannot be done in case of mobile apps. Upgradability. Websites and web apps don’t depend on the requirements of the markets iTunes and Google Play. They don’t need to be updated and comply with strict security measures. They are easily upgraded, and the changes can be saved instantly. As for mobile apps, the process of their updating is more difficult and time-consuming. The updates need to be advertised among users and further downloaded by them. These upgrades usually weigh a lot and take up a great deal of disk memory on users’ devices, whereas there is no such problem with websites. Larger audience. Websites and web apps can work on a larger variety of devices whereas mobiles apps are available only on tablets and smartphones. If you want to bring your business on a higher level, web development is a logical choice as websites and web apps are more universally applicable and less expensive. More importantly, modern technologies allow lessening the gap between web and mobile apps as concerns their functionality. Websites and webs apps can help promote products, deliver high-quality content, establish a wide-reaching web and mobile availability that can be easily shared between users.